For other uses, see Auriol (disambiguation). Vincent Jules Auriol (French pronunciation: ​[vɛ̃sɑ̃ oʁjɔl]; 27 August 1884 – 1 January 1966) was a French politician who served as the first president of the Fourth Republic from 1947 to 1954. Auriol was born in Revel, Haute-Garonne, as the only child of Jacques Antoine Auriol (1855–1933), a baker nicknamed Paul, and Angélique Virginie Durand (1862–1945). His great-grandmother, Anne Auriol, was a first cousin of English engineer Isambard Kingdom Brunel. He earned a law degree at the Collège de Revel in 1904 and began his career as a lawyer in Toulouse. A committed socialist, Auriol co-founded the newspaper Le Midi Socialiste in 1908; he was head of the Association of Journalists in Toulouse at this time. In 1914, Auriol entered the Chamber of Deputies as a Socialist Deputy for Muret, a position he retained until 1942. He also served as Mayor of Muret from 3 May 1925 to 17 January 1947, and as a member of the Conseil Général of Haute-Garonne from 1928 to 17 January 1947. In December 1920, after the breakup of the SFIO, Auriol refused to join the newly created SFIC and became one of the leaders of the new SFIO (the remaining socialist minority), along with Léon Blum. Auriol became the party's leading spokesman on financial issues. He chaired the Finance Committee in the Chamber of Deputies from 1924–1926. His first cabinet post was as Minister of Finance under Léon Blum, in which Auriol controversially devalued the French franc 30% against the United States dollar, leading to capital flight and greater economic unease. This and Blum's proposals for greater regulatory restrictions on industry led to Blum's resignation as Premier; in the next government, led by Camille Chautemps, Auriol was made Minister of Justice, then Minister of Coordination of Services of the Presidency of the Council in Blum's short-lived government in 1938. Édouard Daladier's conservative–Radical government formed on 10 April 1938 returned Auriol to the Chamber of Deputies. Auriol was one of the 80 deputies who voted against the extraordinary powers given to Prime Minister Philippe Pétain on 10 July 1940 that brought about the Nazi-backed Vichy government. As a result, he was placed under house arrest until he escaped to the French Resistance in October 1942, and fought with the resistance for a year. Auriol fled to London in October 1943. He represented the Socialists at the Free French Consultative Assembly (organized by Charles de Gaulle in Algiers later that year). In July 1944, he represented France at the United Nations Monetary and Financial Conference at Bretton Woods, United States. After World War II, Auriol served as Minister of State in de Gaulle's provisional government. He was a member of the Constituent Assemblies which drafted the constitution of the short-lived French Fourth Republic, and was President of the Assemblies. He lobbied for a "third force" between Communism and Gaullism. Auriol led the French delegation to the United Nations and was France's first representative on the United Nations Security Council in 1946. He served as a Deputy for Haute-Garonne in the National Assembly from 1946 until 31 December 1947. Meanwhile, the National Assembly elected him on 16 January 1947 as the first President of the Fourth Republic by a wide margin, receiving 452 votes (51.19%) against the 242 (27.41%) for the People's Republican Movement (MRP) candidate, Auguste Champetier de Ribes. As president, Auriol pursued a relatively weak presidency like the office under the Third Republic. He attempted to reconcile political factions within France and warm relations between France and its allies. He was criticized for France's ailing economy and political turmoil in the postwar period, and the war in Indochina. A series of debilitating strikes were waged across France in 1947, initiated by the Confédération Générale du Travail. The strikes escalated into violence in November of that year, leading, on 28 November, to the government deploying 80,000 French Army reservists to face the "insurrection". The Communist Party, who often supported the strikes, were expelled from the legislature in early December. The strikes ended on 10 December, but more would come in 1948, and again in 1953 in response to the Joseph Laniel government's austerity program. Apart from the inconclusive war in Indochina, France's colonial empire decayed under Auriol's presidency. Clashes in Morocco, Madagascar, Algeria, and Tunisia became more frequent; an Algerian independence movement, the Front de Libération Nationale, was founded in 1951, and in 1953 the French overthrew Mohammed V, the Sultan of Morocco, after he demanded greater autonomy. France waged a brutal war of repression in Madagascar, and imprisoned Tunisian independence leader Habib Bourguiba in 1952. After his presidency, Auriol assumed the role of elder statesman, and wrote articles on political topics. Auriol became a member of the Constitutional Council of France in 1958 at the establishment of the French Fifth Republic; he resigned from the SFIO in the same year. He unsuccessfully lobbied against the constitution in the 1958 national referendum, and resigned from his position on the Constitutional Council in 1960 to protest the growing power of Charles de Gaulle's presidency. In 1965, he endorsed François Mitterrand for the Presidency. On 1 January 1966, Vincent Auriol died in hospital in the 7th arrondissement of Paris and was buried at Muret, Haute-Garonne. On 1 June 1912, Auriol married Michelle Aucoutuier (5 March 1896 – 21 January 1979). Six years later the couple had a son, Paul (1918–1992). The aviator Jacqueline Auriol was his daughter-in-law. ^ "Bartleby.com: Great Books Online -- Quotes, Poems, Novels, Classics and hundreds more". www.bartleby.com. Retrieved 9 April 2018. ^ Sementéry, Michel (9 April 1982). "Les Présidents de la République française et leur famille". Éditions Christian. Retrieved 9 April 2018 – via Google Books. ^ "Généalogie de Michelle AUCOUTURIER". Geneanet. Retrieved 9 April 2018. ^ "Michelle Aucouturier". geni_family_tree. Retrieved 9 April 2018. Wikimedia Commons has media related to Vincent Auriol. Jules Gustave René Coty was President of France from 1954 to 1959. He was the second and last president of the Fourth French Republic. Roland Dumas is a lawyer and French Socialist politician who served notably as Foreign Minister under President François Mitterrand from 1984 to 1986 and from 1988 to 1993. He was also President of the Constitutional Council from 1995 to 1999. Maurice Thorez was a French politician and longtime leader of the French Communist Party (PCF) from 1930 until his death. He also served as Deputy Prime Minister of France from 1946 to 1947. Claude Estier was a French politician and journalist. He was deputy of Paris from 1967 to 1968 and again from 1981 to 1986, then senator from 1986 to 2004 and was president of the socialist group in the senate from 1988 to 2004. The French Section of the Workers' International was a French socialist party founded in 1905 and replaced in 1969 by the current Socialist Party (PS). 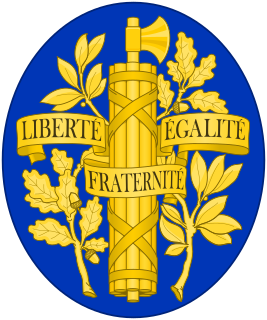 It was created during the 1905 Globe Congress in Paris as a merger between the French Socialist Party and the Socialist Party of France in order to create the French section of the Second International, designated as the party of the workers' movement.